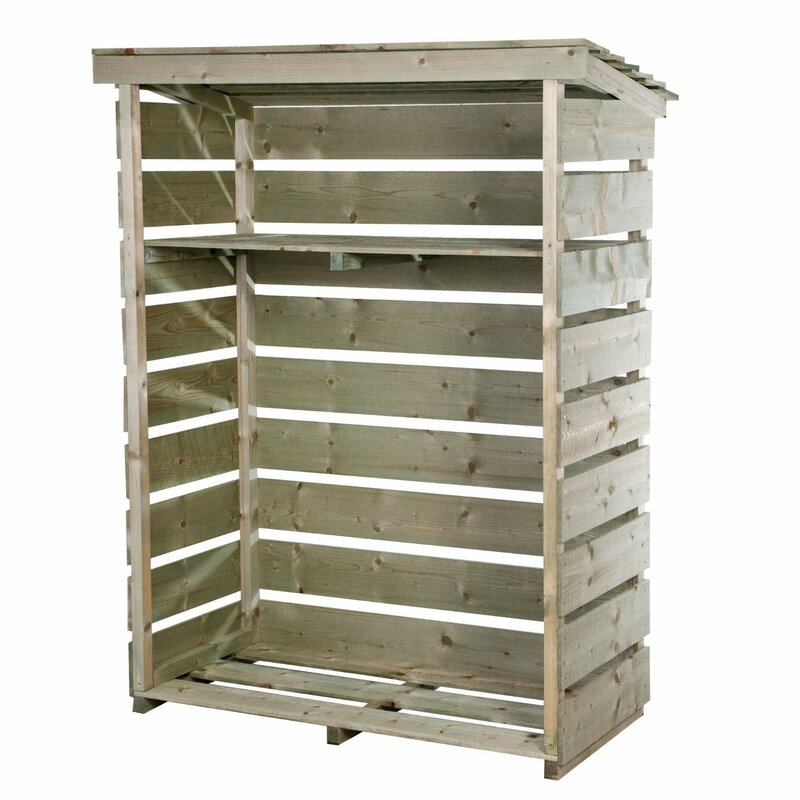 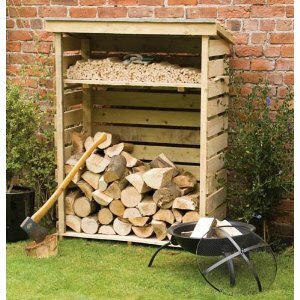 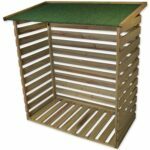 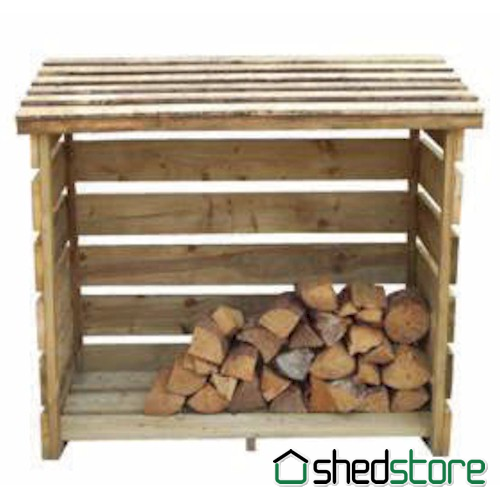 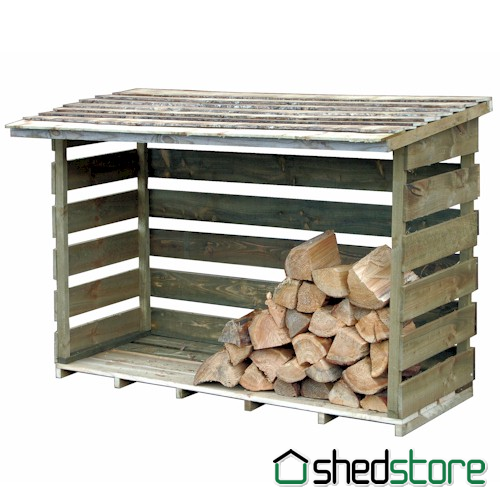 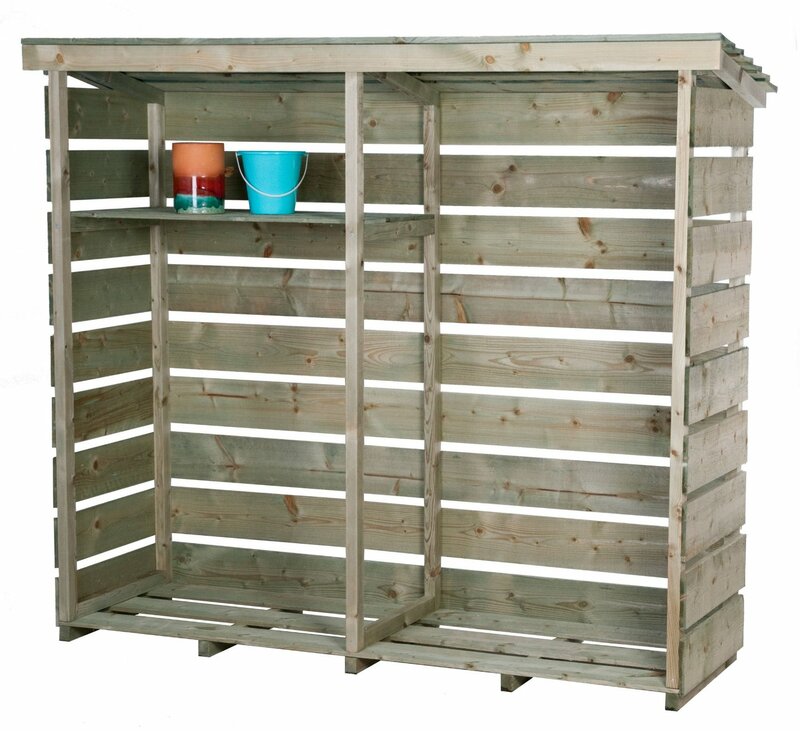 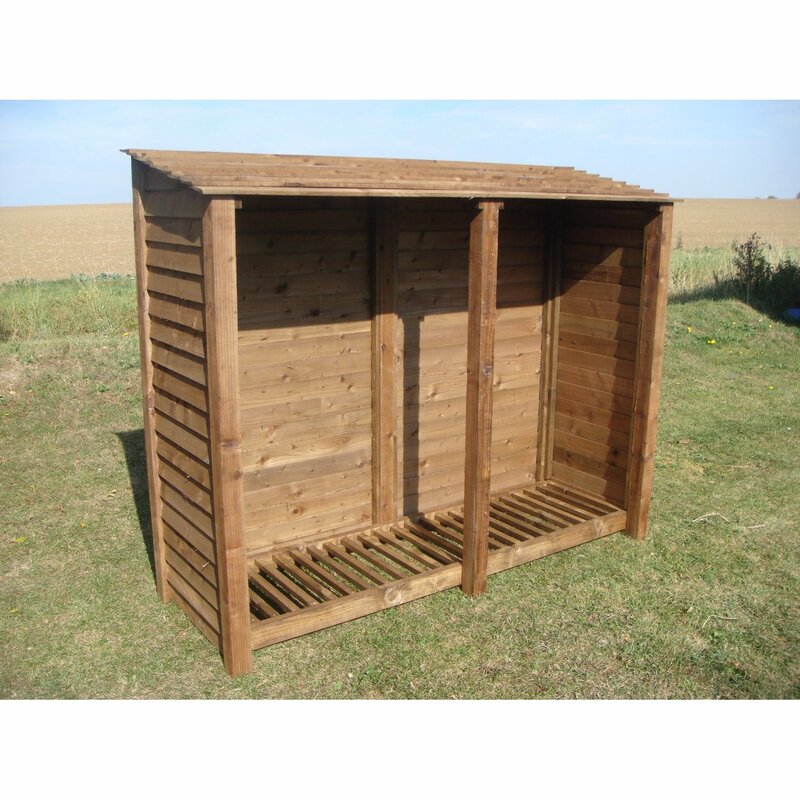 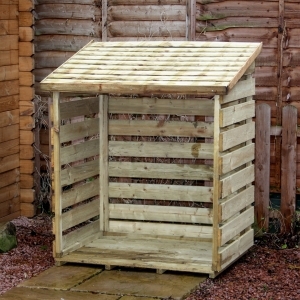 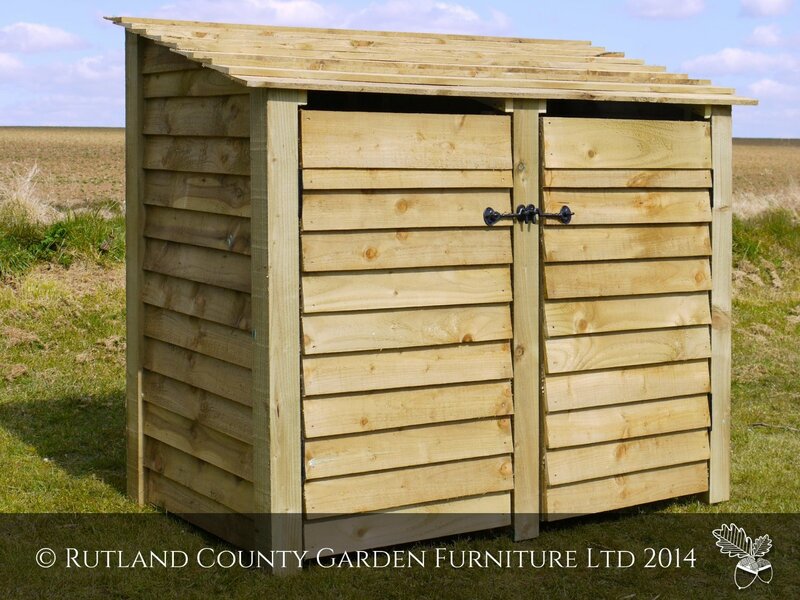 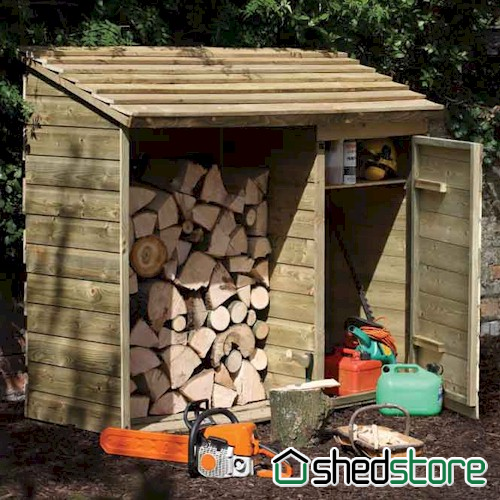 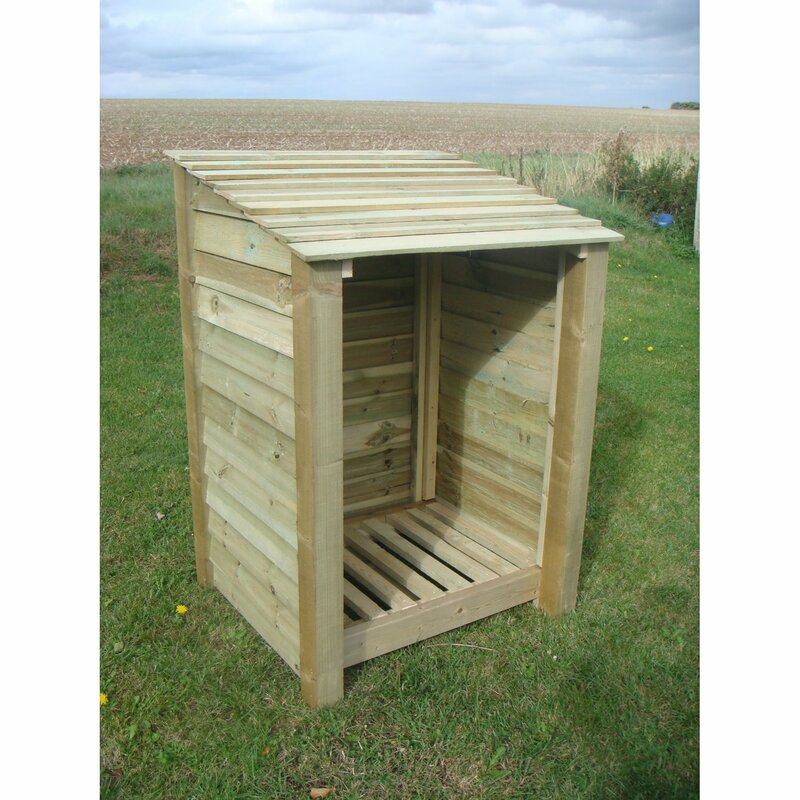 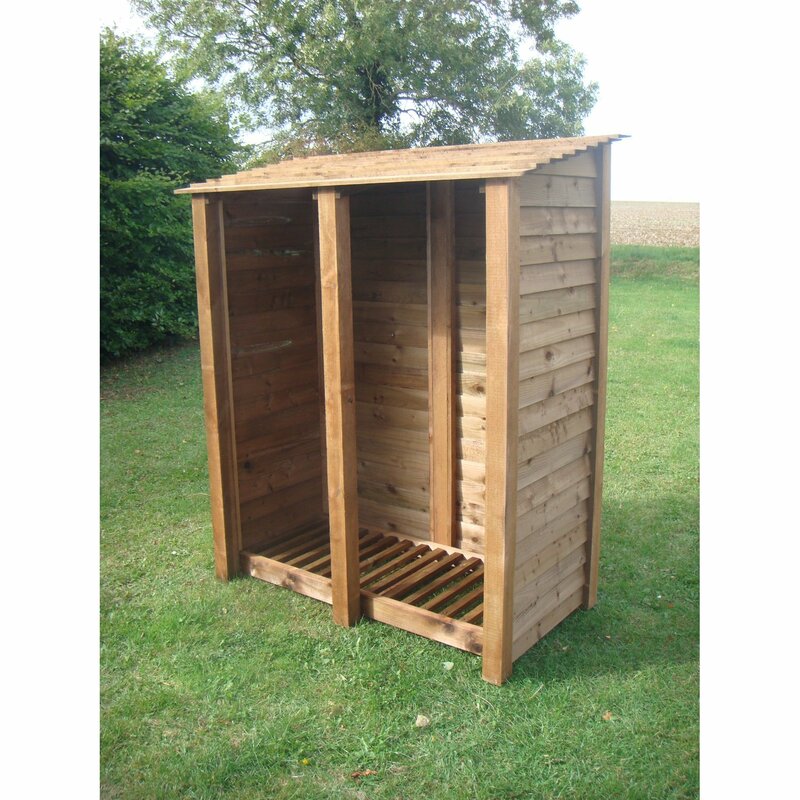 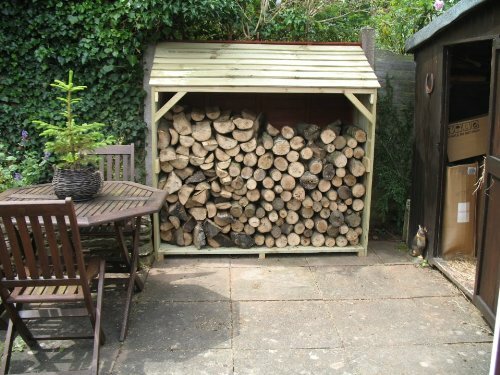 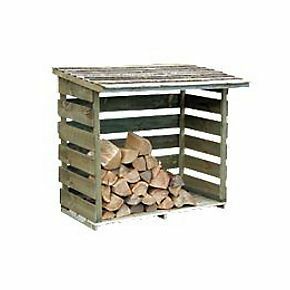 A value packed log store for less than £100 but with almost a cubic metre capacity, a felt roof for weather protection, and wooden slats on 3 sides to provide air circulation. 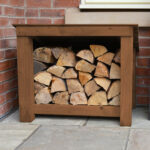 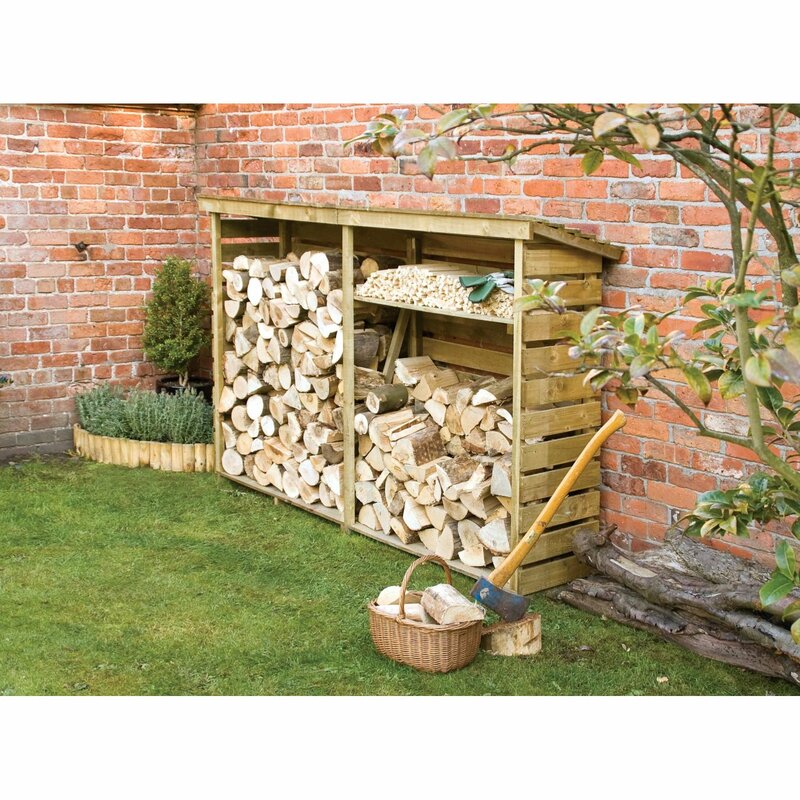 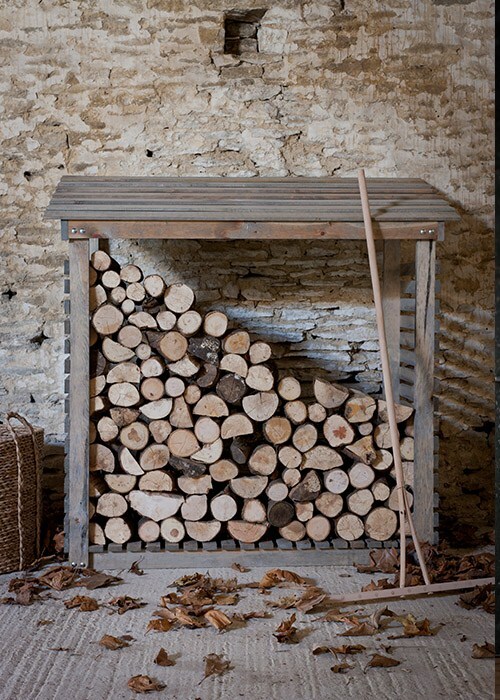 An ideal ‘by the back door’ wood store. 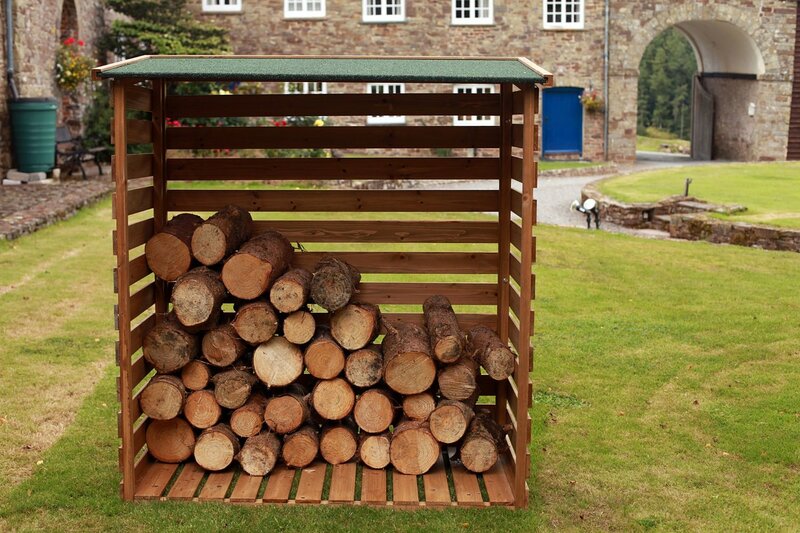 Easy to put together by one person.